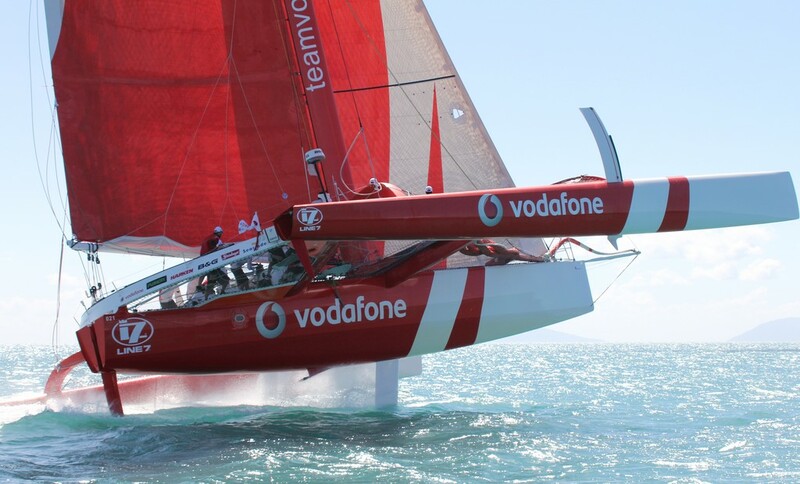 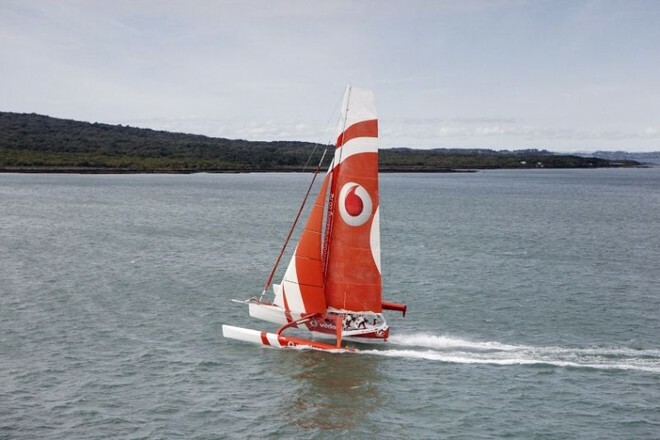 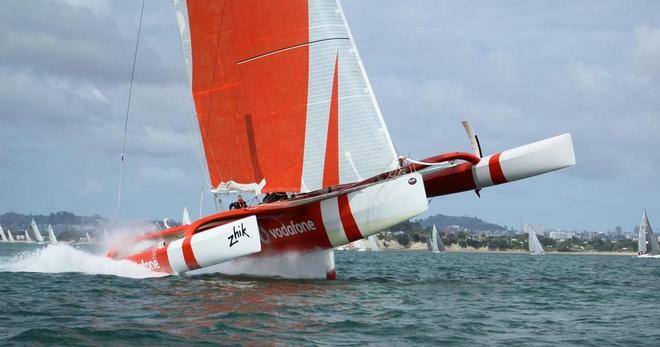 The 2002 CDK Orma 60 Trimaran named TeamVodafoneSailing,is one of a breed of ORMA 60 trimarans built to sail fast and get instant spectator approval! 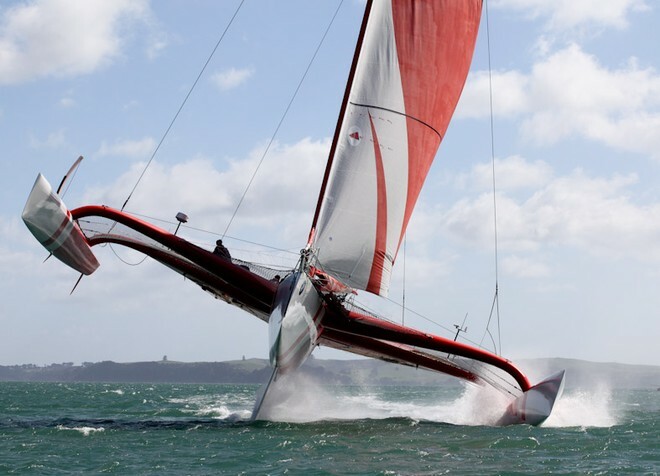 It has sail size and loads similar to an IIAC America’s Cup class yacht, but weighs only 6 ton versus 26 ton. 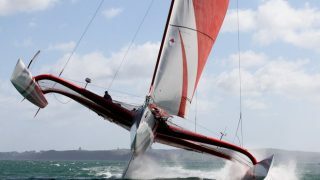 Many of the world’s most intrepid ocean sailors have carved out their careers on ORMA 60s through the classes’ 20 year history. 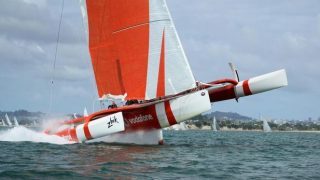 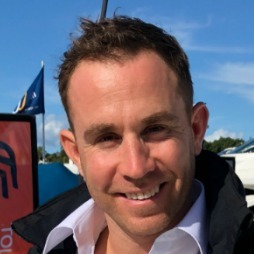 In 2006 French sailor Lionel Lemonchois shaved more than four days off the record in the 2006 Route de Rhum, the legendary solo race between Saint-Malo and Pointe-a-Pitre, to cross the Atlantic in less than seven days, and in 2007 Franck Cammas and Steve Ravussin on Groupama 2 completed the Transat Jacques Vabre between France and Brazil in 10 days, 38 minutes and 43 seconds. 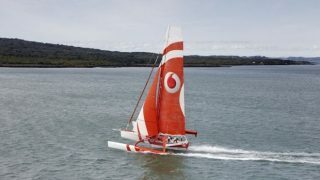 Single handed average speed targets are 18 knots to windward in 25 knots of breeze, with a real pointing angle of 47 degrees, or 30 knots on a broad reach.